2015 was a very eventful (and fulfilling) year for me and my wife. Let's break it down, shall we? By far the most impressive thing I did last year was to take a 6 month sabbatical and live abroad in France with my wife. Though I've written about it previously, I left out the entire part where we chronicled our adventure in a series of publications on Medium. We kept it anonymous during the trip to avoid any potential issues but now that it's over, I will list the different publications so you can read back through what we did for 6 months (spoiler: we did a lot). Just to be clear when you're reading, I am Vincent and my wife is Celeste. It was an experience I'll never forget and one that probably won't be repeated anytime soon. My wife and I both felt it was the right time and that we'd probably get little to no chance at doing something so crazy once we had kids and "settled down." We still hope to continue traveling once a year or couple years, especially after an experience like that. One of my plans for 2016 is to compile all these posts into a book that we print and keep for us and our future children. We weren't in a position to buy a house so soon after a 6 month sabbatical but we still thought it was best to move from apartment living to a real house, especially after living in a 400 sq ft space in France. We found a great place to rent in Minneapolis that's pretty close to both workplaces, friends, and family. We've done a few things to it to make it more like home and we've been really enjoying it so far and our landlord is superb. The photo above is our enhancement to the bay window. 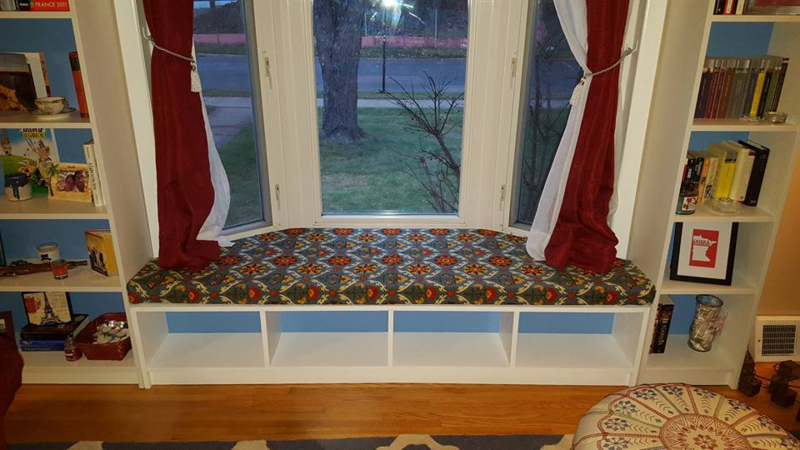 My brother-in-law built the spanning bench between the bookcases and I built the cushion. I removed the tall blinds that covered the window so we could open up the room and add extra seating. It turned out so good! My wife has always wanted a dog ever since we moved into an apartment together--except our apartment complex never let us have dogs. We cat-sat (is that a word?) for 2 years for some friends and then they took her back down to Texas where they bought a house and she happily frolicks outside. In August (Dogust?) we went to the humane society and on pretty-much-a-whim took in a cute dog we named Rennes (after one of our favorite French cities we visited). 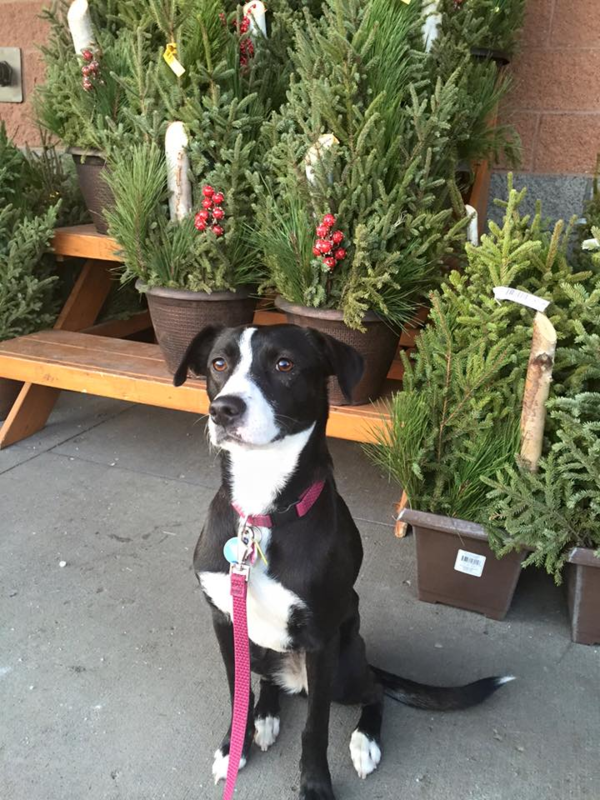 She's a black lab and border collie mix. She's awesome even though she jumps the fence to chase squirrels (we're working on that). We love her a ton. 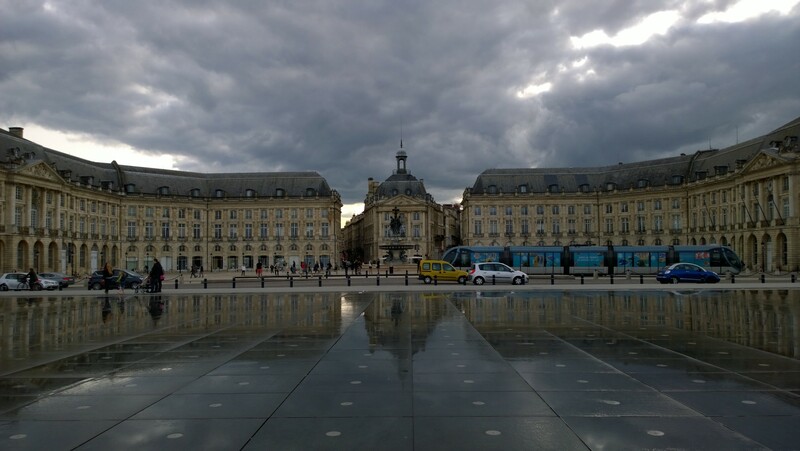 2015 marked the 4th year that KTOMG has been around since its humble beginnings and while I was abroad it gave me time to focus and finish a major rewrite of the codebase in May. Since then I've released public lists and capping the year off with Steam syncing, just to name a few features. Even though I was abroad for 6 months, I still managed to give a talk this year at Twin Cities Code Camp 19: an update to my popular Demystifying TypeScript presentation. You can also find 2014's version on YouTube. 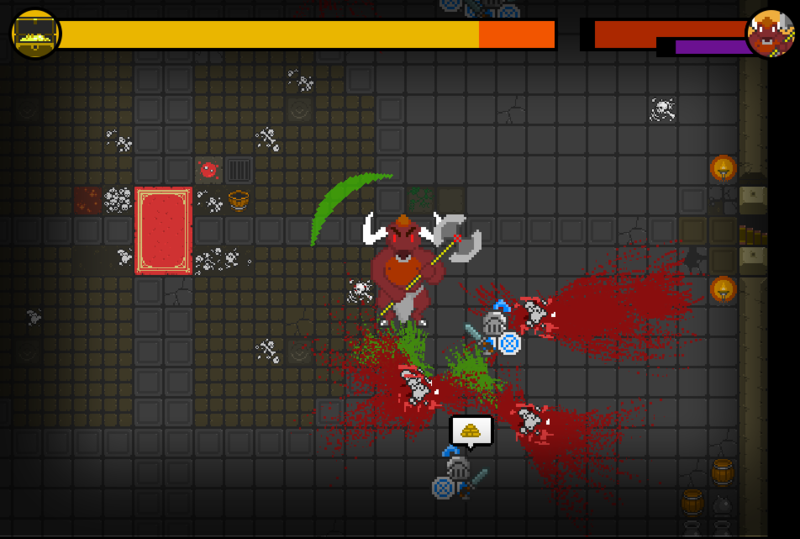 In August, I participated in the Ludum Dare 33 game jam where some friends and I created a minotaur hack-n-slash game, Crypt of the Minotaur (source). I love participating in game jams and by extension, helping to contribute to the Excalibur.js game engine. Somehow after all that I still managed to log hundreds of hours into my gaming habit. Since I added public lists to KTOMG, why don't you go take a look at my Top 10 Played Games of 2015? Yes, some of those came out in 2014 but I didn't play or finish them until this year. Being abroad, I managed to bring my laptop, 3DS, and PS4 so I played a lot of Destiny, finished the remastered Grim Fandango and other PS4/3DS games. My laptop wasn't that great but I was able to still enjoy Pillars of Eternity, a throwback Baldur's Gate-style RPG. In November, I started playing Fallout 4 and have since logged over 75 hours in it. 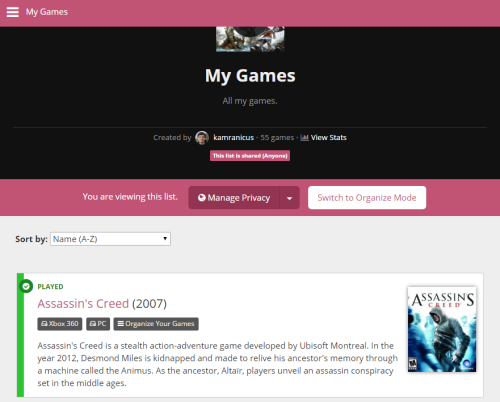 It's definitely tough to juggle both hobbies: playing games and developing a site that helps manage those games. During time off, I usually try to mix my time between them to satisfy both needs and sticking to a monthly release cadence helps a lot to prioritize work. My work has been going swimmingly, after my sabbatical I returned to work on a team with one of my best friends. Speaking of friends, I made more this year, fulfilling a goal I made at the start of 2015--not only abroad but also at home. Board game nights, Dungeon World sessions, and a Star Wars marathon are just some of the highlights of the fun stuff we've done with our [awesome] circle of friends. Cheers to 2016, let's hope it's even bigger and better than 2015 and brings more happiness and joy to my life.